Ensure your group can bond on a budget with these six excellent motorcoach tours. Traveling with your religious group raises many questions. Can I schedule an itinerary that appeals to everyone? How can I transport a large group? Most importantly, how can we connect with each other and our faith while staying on budget? Diamond Tours solves all of these concerns with three simple syllables: motorcoach. The group caters to Christian groups of all sizes and faiths with customizable bus trips throughout the United States and Canada. Simply pick a location and Diamond representatives will tailor a trip to ensure the best vacation for everyone in your group. Lodging, meals and transportation are all planned and payed for in advance, allowing more time for your group to recharge and reconnect. Here are some highlights of Diamond Tours’ season. Experience the culture, hospitality and architecture of our neighbors to the north. 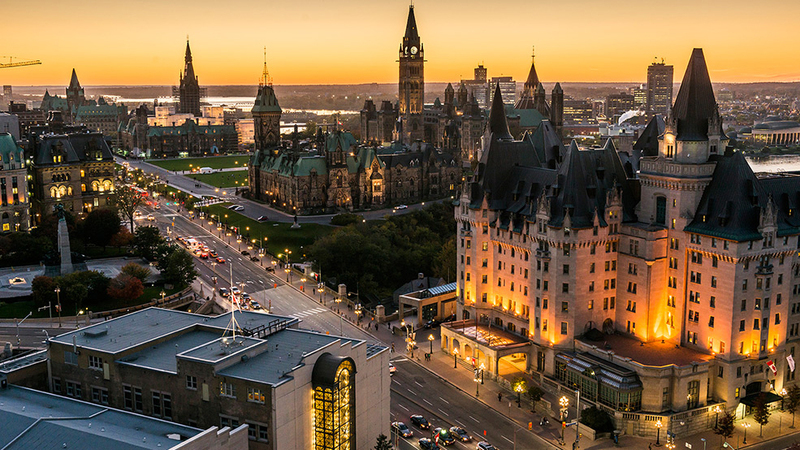 Your group will explore the historic cities of eastern Canada with a guide fluent in English and French, and he or she will show you the stunning gardens of Quebec, Montreal’s Underground City and the Parliament Hill neighborhood in Ottawa. Architecture-lovers in your group will relish a tour of Notre-Dame Basilica in Montreal’s historic district, but everyone will be amazed by the stained glass windows and elaborate altar in this 19th century Gothic revival church. The Montreal Tower affords a view 540 feet in the sky and Montmorency Falls can get your party soaked from a height taller than Niagara. Showbiz meets Midwestern hospitality in Missouri’s “Live Music Capital of the World.” The glitz and glamor of every era will greet your group as you experience night after night of spectacular live entertainment. 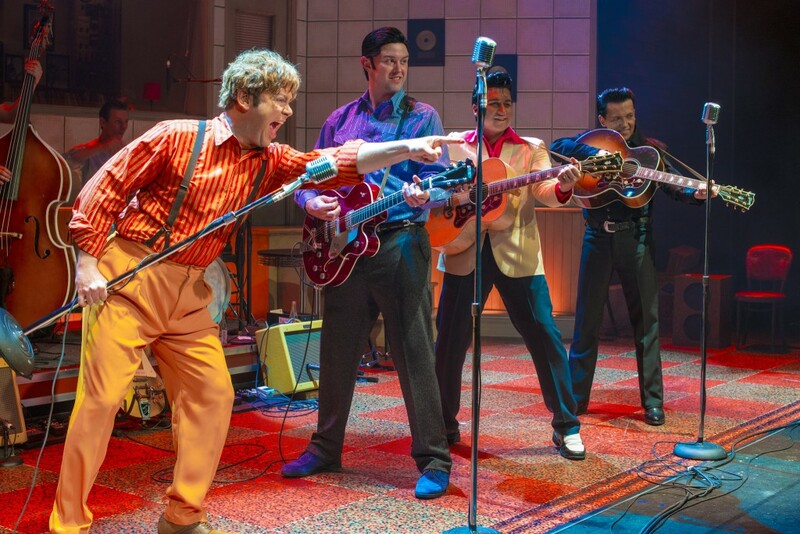 Million Dollar Quartet recreates the historic one-night meeting between four rock ’n’ roll pioneers, while Puttin’ on the Ritz brings the spectacle and romance of Golden Era Hollywood. After all that sitting down, you’ll want to explore Branson Landing, a shopping and dining center with over 100 businesses on the Table Rock Lake waterfront. Your party will also enjoy an evening onboard the Showboat Branson Belle, which presents nightly variety shows accompanied by a three-course meal. Widescreen biblical spectacle awaits in the massive Sight and Sound Theater in the heart of Lancaster County. 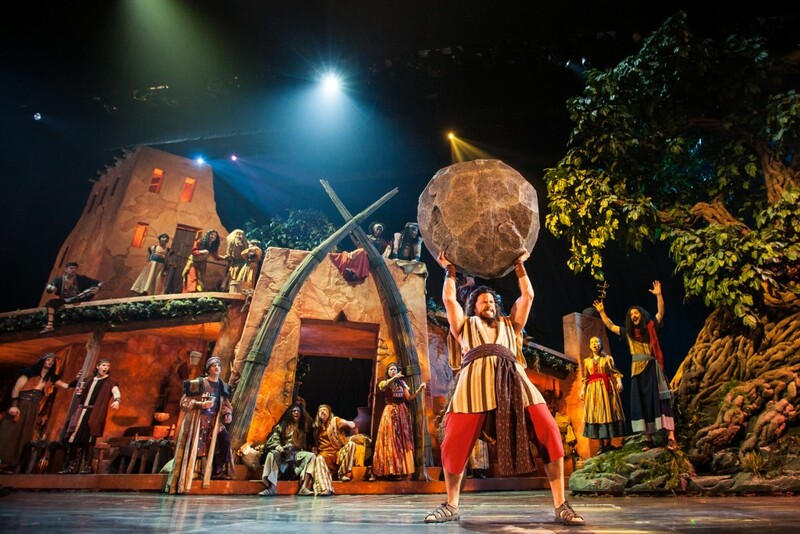 Here your group will witness the biblical epic Samson, a reenactment of the famous tale with elaborate sets, lush musical numbers and a talented ensemble cast. Other live entertainment includes a seasonal Christmas revue and The Crooners Show, where the hits of Ella Fitzgerald, Rosemary Clooney and Frank Sinatra are reimagined with period costumes and trappings. But your tour isn’t limited to indoors; your bus will whisk your group away to Amish country, where you can sample the heritage and cuisine of local artisans and craftspeople. The nearby Landis Valley Museum and Village is a preserved 18th century settlement that transports you back to the communities of early German immigrants. Also on the tour is historical and cosmopolitan Philadelphia, where you can explore legendary sights such as the Liberty Bell and Independence Hall while sampling the city’s acclaimed culinary and gallery offerings. Nestled in the gorgeous Smoky Mountains, Pigeon Forge and nearby Gatlinburg boast world-class theater, endless attractions and peeks into America’s pioneer history. Tennessee’s rich country music tradition is represented in Smoky Mountain Opry, a spirited show that features everything from Big Band orchestras to the contemporary songs of Nashville hit-makers. Other musical charmers include the Hatfield McCoy Dinner Show, a witty take on the famous family feud, and Soul of Motown, a high-energy medley of hits from Marvin Gaye, Sam Cooke, Aretha Franklin and others. Located just minutes outside your lodging are the stunning vistas of Smoky Mountains National Park, where your group can hike, picnic and sightsee on trails and expeditions for any ability level. For a taste of rustic Appalachian hospitality, historic downtown Gatlinburg offers restaurants and specialty stores with a mountain theme, while visitors to Old Mill Square can see how flour is ground in a structure over 200 years old. Most people can name the four famous presidents in this world-famous American monument, but few are aware of the fun to be had in the surrounding Black Hills. In western South Dakota you can visit the local city of Deadwood, site of an 1876 gold rush that attracted gunslingers Calamity Jane and Wild Bill Hickok. Admire immaculately preserved Victorian architecture and enjoy a night on the town in the city’s downtown, and your group can spend hours admiring pioneer artifacts in the High Plains Western Heritage Center. On your way to Mt. Rushmore, your tour will also stop by massive Crazy Horse Monument and travel down Wildlife Loop Road, where you can spot bison, antelope and bighorn sheep in Custer State Park. Let’s not forget Mt. 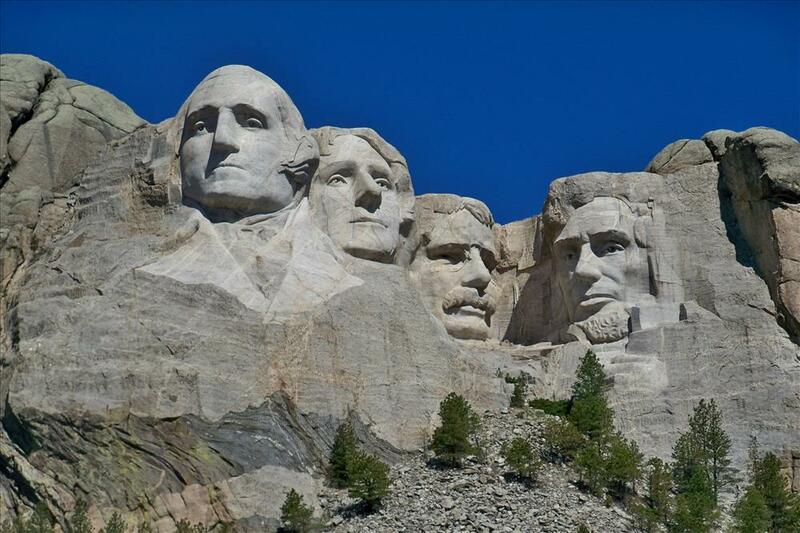 Rushmore itself; in addition to admiring one of America’s most iconic monuments, you will tour the park’s visitor center, hike along the granite mountainside and view the nightly laser projections on the faces of presidents Washington, Jefferson, Roosevelt and Lincoln. These are just a small sample of what Diamond Tours offers to religious travel groups. The tours are flexible and can alter arrangements based on the size of your group, budget and time frame. Best of all, being on a bus ensures you can spend personal time with your faith group and leave itinerary worries in the rearview mirror.